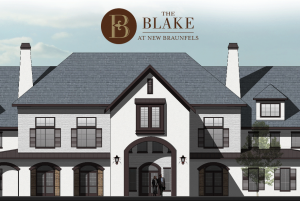 Comvest Properties, LLC » Archive by category "News"
(February 11, 2019) – LifeCare Properties, together with Blake Management Group, introduces The Blake at New Braunfels, a resort-style senior living community in the northeastern part of greater San Antonio. This will be first Blake location to open in Texas. Visit www.blakeatnewbraunfels.com for upcoming news regarding development and pre-opening sales. Construction is expected to be finished in fall 2020. For additional information on BMG, please visit www.blakeliving.com. GULFPORT, MS, October 10, 2017 – Marcus & Millichap (NYSE: MMI), a leading commercial real estate investment services firm with offices throughout the United States and Canada, today announced the sale of Centre at Courthouse, according to Todd E. Lindblom, regional manager of the firm’s Milwaukee office. The asset sold for $2,575,000. Jeff R. Rowlett and Matt Fitzgerald, investment specialists in Marcus & Millichap’s Milwaukee office, had the exclusive listing to market the property on behalf of the seller, a limited liability company. Anne Williams, Mississippi Broker of Record, assisted in this transaction. The seller, Centre at Courthouse, Inc. is a wholly owned real estate investment property of Mladinich Holdings, LP., Biloxi, MS.
Centre at Courthouse is located at 405 E Pass Road in Gulfport, MS. This investment consists of two buildings, one occupied by three tenants at 31,975 square feet and the other two tenants at 2,277 square feet. The larger building was built in 1974 but was completely redeveloped in 2006 with a new roof, all new electrical, water lines, sewer, sprinkler system, new 2” asphalt and new pylon/monument sign. The smaller two tenant building was built in 2011 located in the outlot of the larger building. Currently the tenants leasing space consist of Citi Trends, Dollar Tree, Shoe Show and Smoothie King. Biloxi, Mississippi – Daniel J. Payne, CPA, has joined COMVEST Properties in the position of Accounting Manager. Prior to joining COMVEST, Daniel worked with a CPA firm on the Mississippi Gulf Coast serving a wide variety of clients. In addition to public accounting experience, Daniel has experience working with a local bank as an Internal Auditor. Daniel graduated with a Bachelors in Accountancy from Mississippi State University. He has also obtained his Masters of Business Administration from Delta State University. In addition to his education, he is licensed as a Certified Public Accountant in the State of Mississippi. Daniel is a member of the American Institute of Certified Public Accountants (AICPA) and the International Council of Shopping Centers (ICSC). 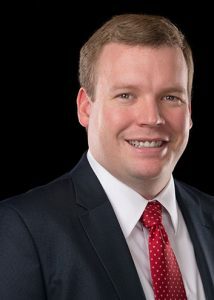 He is also a member of Mississippi Society of CPAs where he serves as treasurer for the Gulf Coast Chapter. In addition to work related associations, Daniel enjoys volunteering his time to give back to his community. Currently, He is serving as a member of the Board of Trustees for the Walter Anderson Museum of Art. 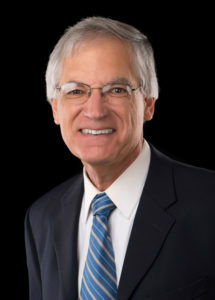 In 2015, he was appointed by the Board of Aldermen to serve a five-year term on the Economic Development Council for the City of Ocean Springs.